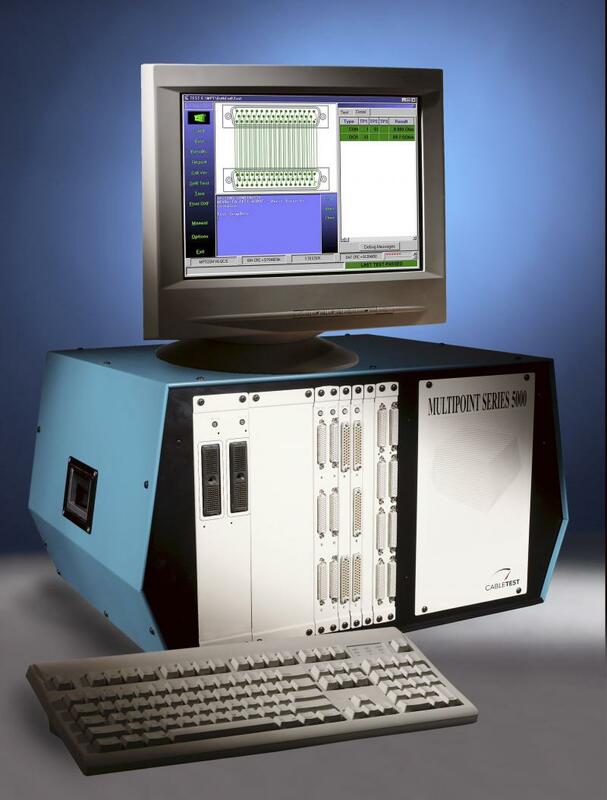 MPT Series Cable Testers use computer controlled, state-of-the-art switching architecture to evaluate the functionality of complex electrical wiring systems. These wiring analyzers are offered in three distinct configurations: the MPT 1000, the MPT 5000, and the MPT 5000 Lite. Each MPT offers a wide range of creates a powerful combination of high output current and measurement accuracy with virtually unlimited expansion capability and extremely fast test-cycle time, using a mass HiPot algorithm. mixed high and low voltage energization allows for selective HiPot and low voltage testing of discrete points on the same card. floating ground testing allows high-voltage diagnostics of wiring assemblies in aircraft, rockets and other equipment containing explosive or flammable substances. bi-directional testing finds all low voltage faults and their locations in a single scan. functional testing flexibility enables the user to valuate continuity, isolation and breakdown in complex, multi-component wiring systems that way include: black-boxes, capacitors, diodes, lamps, inductors, relays, resistors, shielded cable termination, solenoids, switches and transistors.